This Accounts Payable Clerk interview profile brings together a snapshot of what to look for in candidates with a balanced sample of suitable interview questions. Make sure that you are interviewing the best accounts payable clerks. Sign up for Workable’s 15-day free trial to hire better, faster. Accounts Payable Clerks are responsible for compiling and maintaining accounts payable records in all types of industries. Common requirements for this role include a BS degree or experience in Finance, Accounting or Business Administration. Technical skills include proficiency with proprietary software and spreadsheets. In some situations, the type of their experience may prove to be more important than the length of their experience. 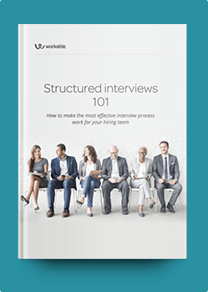 If knowledge of your industry would contribute to faster onboarding and a deeper understanding of the role, be sure to add questions that pertain to the industry. The following open-ended and situational interview questions will help you assess their accounts payable experience. The most important thing will be to differentiate theoretical experience from hands-on experience — especially if you don’t consider this to be an entry-level role or don’t have the capacity to train a new hire. What interests you about working in accounts payable at a company like ours? What training or experience has prepared you for the role of accounts payable clerk? Describe your familiarity with accounting software. Which ones have you used? In as much detail as possible, describe the accounts payable process. What differentiates accounts payable from bills payable? How would you define a workflow? From the bank’s point of view, what is debit and credit? What is it from the customer’s point of view? This position requires a fair amount of data entry. How do you ensure accuracy in your work? Describe a time you found an invoice discrepancy. How did you resolve it? What steps would you take to make a payment? What does it mean when a vendor has a debit balance and what would you do in this case? Describe a time you negotiated vendor terms. How did you handle it? Describe a time you suggested a way to lower costs, increase revenue, or improve efficiency.